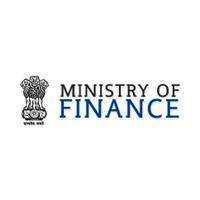 Financial services under the ministry of finance issued official recruitment notification for the posts of clerks, assistant and stenographer posts for various departments to fill the vacant posts. All the candidates who are looking for government jobs and eligible for this recruitment, can apply online through the official website www.financialservices.gov.in on or before the last date 20 Oct, 15. Check your eligibility criteria, education qualification, age limit, selection procedure before applying for these posts. Candidates can apply for various vacancies of Clerks, Assistants and Stenographer posts, total number of vacancies are 72. Check out the following details about this recruitment 2015-16. Post Name: Clerks, Assistant, Stenographers and others. Candidates should have completed the 10th / Diploma/ Graduation or Degree in the required discipline according to the posts or its equivalent qualification. To know about exact education criteria, you should read the official advertisement. Download the following application form, official recruitment advertisement and click on the apply online link. You are advised to read the advertisement before applying. Wish you all the best and visit the page for more updates related to Ministry of Finance Recruitment 2015-16. Like us on facebook, twitter, google plus for quick updates.